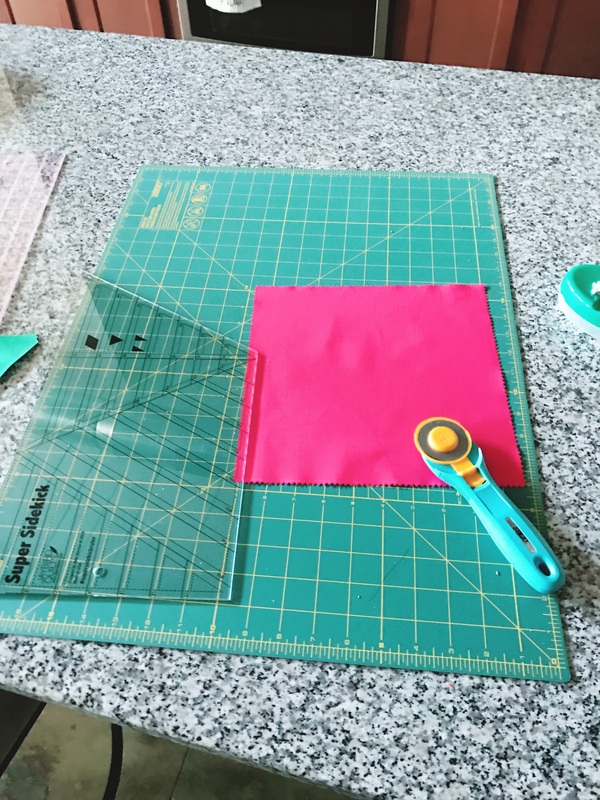 After multiple trips to Joann’s and the local sewing shop, I’ve finally amassed all the notions that I need to start sewing again. It’s amazing the number of things you need, when you’re starting from nothing! I even had to purchase a straight stitch foot for my machine, as I could only find the walking foot. I’ve been cutting my quilt pieces for my first block, using my kitchen island as a cutting table. It’s not the most convenient, but it’s close to the machine, and I don’t want to purchase anything else right now. It’s working nicely! I’m not super experienced as a quilter, so it’s slow going doing all that cutting. The specialty rulers definitely help! I’ve finished the triangles for the first two blocks, and I’m getting ready to sew. Which leads me to my dilemma (and the title of this post): What to do about lighting? 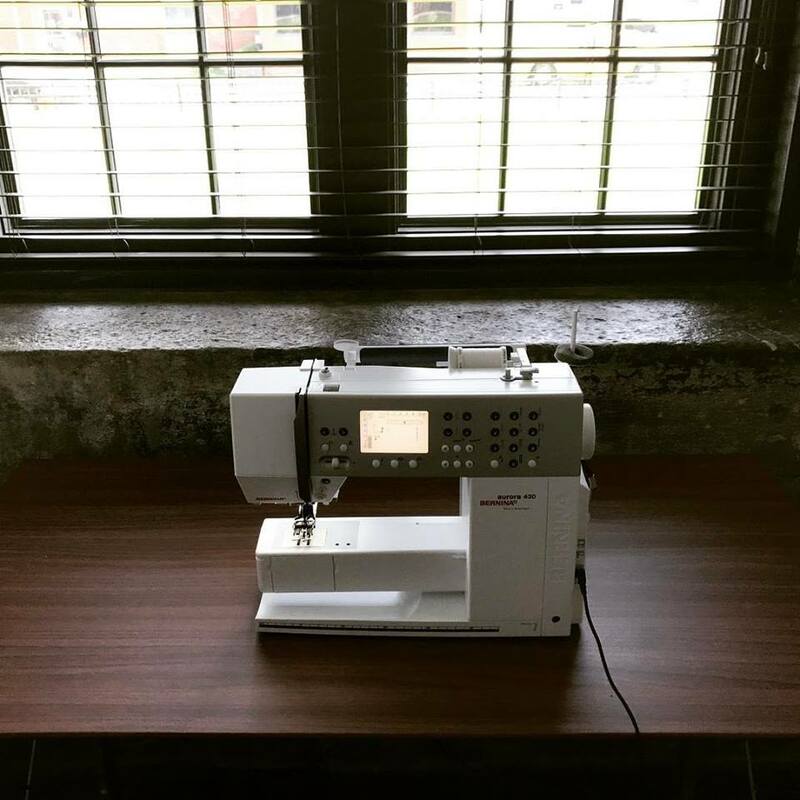 The room I’m using as my sewing room does not have any overhead lighting. As you can see, the ceilings are really tall. Like, 14 feet tall. So hanging a light isn’t really a viable option. I guess I’m looking at task lighting, then, for the sewing desk and the ironing station. Since I’m using the island as a cutting surface, I don’t need to worry about that. I was going to head to target and pick up some lamps, and use daylight bulbs, but I thought I would ask first if anyone has suggestions. I used to own an Ott light, but I’m hesitant to purchase another – mine developed a flicker pretty early on, which made it impossible to use for long periods. In other news, I’m still looking through garment patterns. 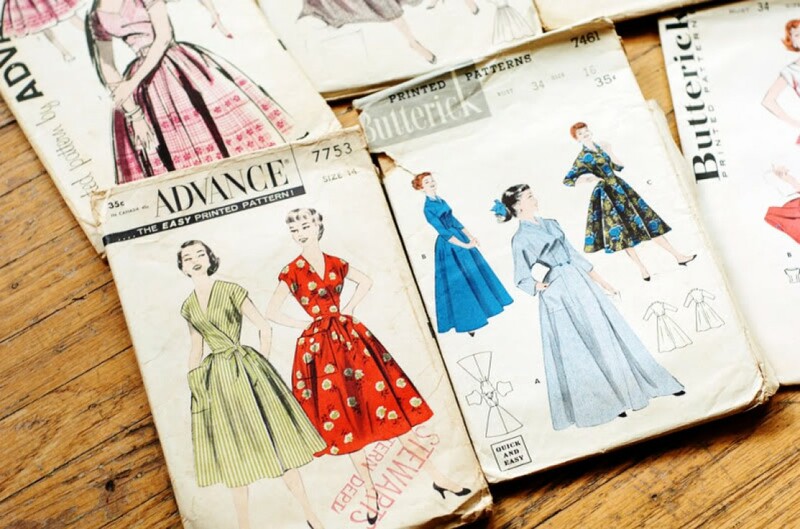 I want to sew some cute summer dresses, since I have a job that runs year round now (I’m the organist/choirmaster for a large Catholic parish.) But I’m a little overwhelmed with the number of new patterns and companies. Soon I will make a post with my summer sewing plans. Thanks you so much to everyone who left me a kind note – they are so appreciated! I wasn’t sure, honestly, if anyone would remember me at all, and it was so gratifying to realize that I haven’t been forgotten! How can it be 2017 Already? Greetings! I know, it’s been a literal age since I’ve been here – nearly two and a half years! Where have I been? Well… experiencing a total upheaval of my life situation. I’ve gone through a divorce, and a major career change. It’s been unimaginably difficult, and I’m only now reaching a place where I feel like myself again. 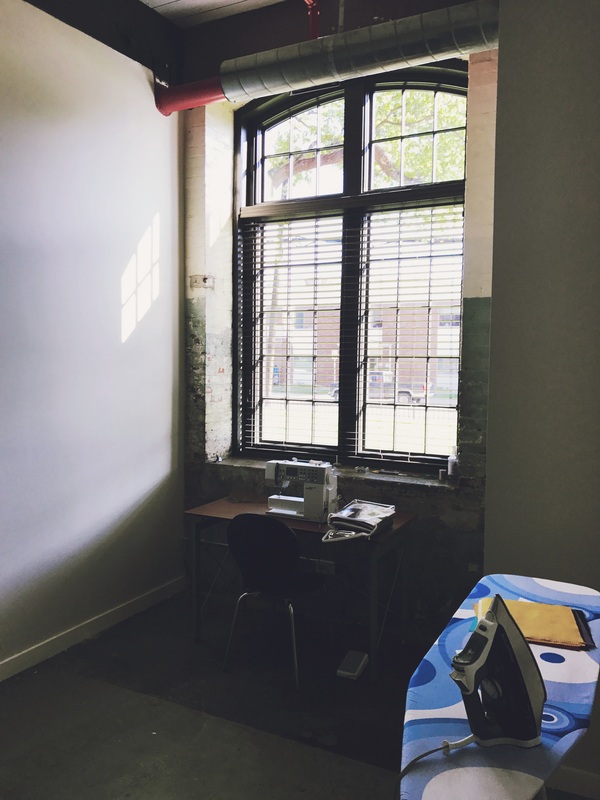 And part of reaching that place, was realizing exactly how much I missed sewing and knitting, and my little place here. So, here goes – I’m a little rusty, so please forgive! 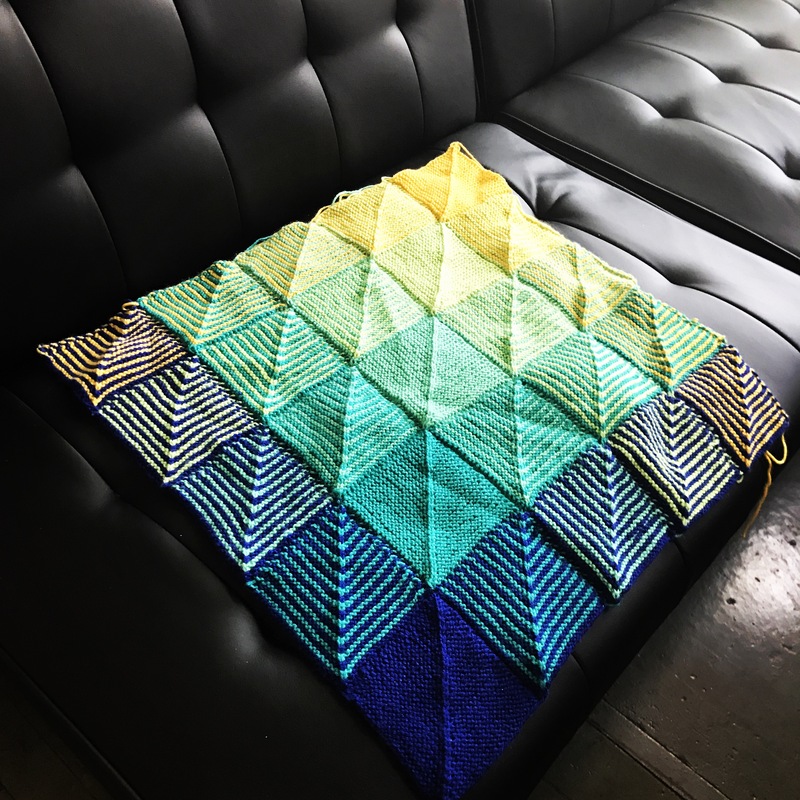 I’ve been knitting a Hue Shift afghan for a few months, and I’m only now 1/4 of the way finished. I’m a slower knitter than I used to be, mostly because I have to play piano and organ for my day job, and I can’t afford wrist issues. I love the colors! 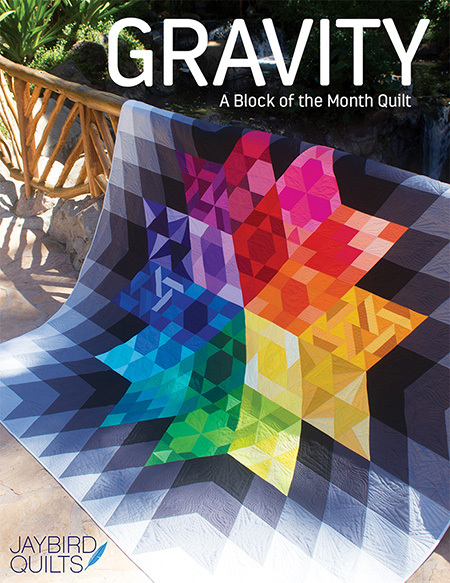 I also just bought the kit to make the Gravity quilt from Jaybird quilts. I love the colors of both these projects! 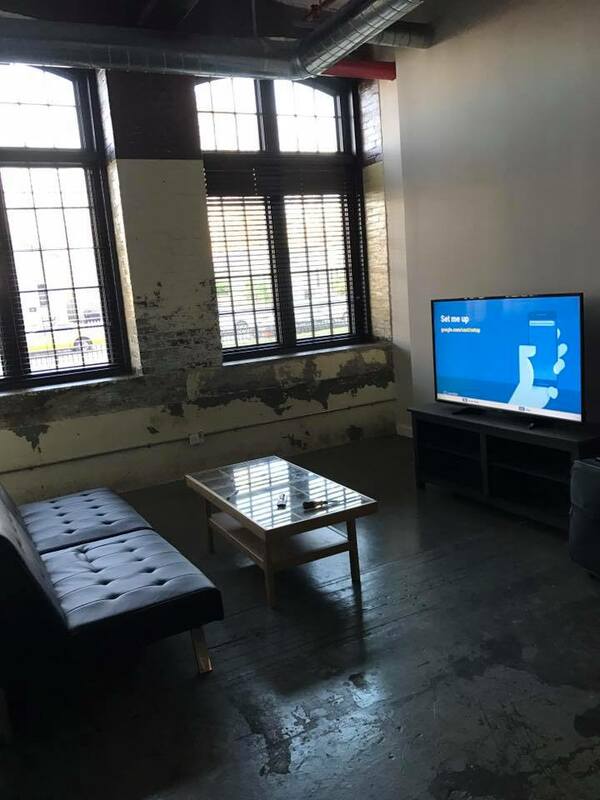 My apartment, being in a converted mill with concrete floors, can feel a little cold, so I’m trying to get some color in to brighten things up. I’m also thinking about sewing my dress for the Kentucky Derby in a few weeks, but I haven’t decided yet on a pattern. I’ve missed so many new releases! There’s going to be a re-learning curve for me – the first time I used my machine again, I couldn’t figure out why it wouldn’t work – and the presser foot was up! Oops. And I had to remember how to cast on for my afghan, necessitating Youtube tutorials. Sometime in the past few years, that info just fell out of my head, but I’m excited to learn it all over again.